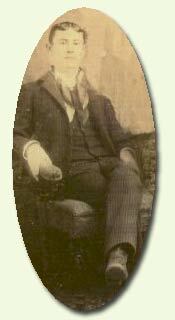 The Families of Juda Malone Buchan. In Phoenix, Jennie gives birth to a baby boy, Hubert Leslie Hatchel, Jr born 9 September 1923.67 They are living at 308 W. Madison. She also gives birth to another son born 17 October 1925 while they are living at 1525 W. Taylor.68 However, this baby does not live. Jennie dies 12 April 1932 in Phoenix and is buried at Greenwood Cemetery.69> Bert goes back to Oklahoma and marries Mavit Etta Fritz.70 In the meantime Hurbert L. Hatchel, Jr. called Les joins the Navy in 1941. 1. California Death Records 1940-1997, Birth 15 Jan 1866, Texas; Death 9 Jan 1948, Kern County, California; Mother’s maiden name Quingo; Web Site, RootsWeb, http://vitals.rootsweb.com/ca/death/search. 4. US Federal Census 1900; El Paso Ward 2, El Paso, Texas; Roll: T623 1631; Page: 5B; Enumeration District: 20. 5. Ancestry.com. OneWorldTree [database on-line]. Provo, UT, USA: The Generations Network, Inc.;Juda Margaret Malone, spouse George Wesley Buchan. 6. California Death Index 1940-1997; Los Angeles; Date: 14 Nov 1975; Social Security: 568057724. 7. 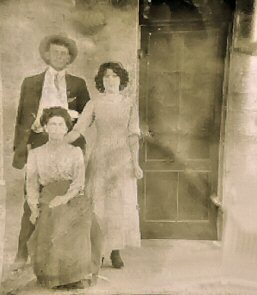 Texas Marriage Collection 1814-1909, Web Site, Ancestry, www.ancestry.com; G. W. Buchan and Juda M. Malone; 23 Sep 1880; Comanche, Texas. 14. US Federal Census 1900; Benson, Cochise, Arizona Territory; Roll: T623 45; Page: 7A; Enumeration District: 8. 15. Ghosts of the Southline: El Paso and Southwestern Railroad Company; http://home.swbell.net/lwsumner/history.htm. 16. US Federal Census 1900; Florence, Pinal, Arizona Territory; Roll: T623 47; Page: 9A; Enumeration District: 55. 17. US Federal Census 1910; Naco, Cochise, Arizona; Roll: T624_38; Page: 2A; Enumeration District: 10; Image: 741. 18. Western States Marriage Record Index, Daniel L Culp & Eugenia Isabella Buchan, Naco, Cochise, Arizona, Vol 3, page 572. 19. Letter dated January 2007 from Hubert L. Hatchel, grandson of Jeannie and Hubert L. Hatchel, 16 N Keene Way Dr., Medford, Oregon 97504, "I have an old letter that says Fred left Julia." 20. US Federal Census 1920: Crane, Yuma, Arizona; Roll: T625_51; Page: 12A; Enumeration District: 71; Image: 1016. 22. US Federal Census 1390; Phoenix, Maricopa, Arizona; Roll: T625_49; Page: 15A; Enumeration District: 67; Image: 1000. 23. Letter dated January 2007 from Hubert L. Hatchel, grandson of Jeannie and Hubert L. Hatchel, 16 N Keene Way Dr., Medford, Oregon 97504. 24. US Federal Census 1930: Los Angeles, Los Angeles, California; Roll: 152; Page: 12A; Enumeration District: 518; Image: 67.0. 25. California Death Index 1940-1997; San Francisco; Date: 15 Jun 1942; Social Security: 568057724. 26. California Death Index 1940-1997; Los Angeles; Date: 14 Nov 1975; Social Security: 568057724. 27. US Federal Census 1930: Glendale, Maricopa, Arizona; Roll: 59; Page: 14B; Enumeration District: 74; Image: 358.0. 28. California Death Index 1940-1997; Kern; Date: 9 Jan 1948; Social Security: 0. 30. Ancestry.com. OneWorldTree [database on-line]. Provo, UT, USA: The Generations Network, Inc.;Juda Margaret Malone, spouse George Wesley Buchan. 35. World War I Draft Registration Cards, 1917-1918 Sheridan County, Nebraska; Roll: 1711771; Draft Board: 0. 36. 30. Ancestry.com. OneWorldTree [database on-line]. Provo, UT, USA: The Generations Network, Inc.;Juda Margaret Malone, spouse George Wesley Buchan. 37. South Dakota State Division of Vital Statistics, Record of Marriage, Kadoka, Jackson, South Dakota, George Buchan and May Barto Buchan, No. 136020, Registered No. 380. 38. US Federal Census 1910: Township 33, Sheridan, Nebrasha; Roll: T624 855; Page 5A; Enumeration District: 211 Image: 1101. 39. World War I Draft Registration Cards, 1917-1918 Sheridan County, Nebraska; Roll: 1711771; Draft Board: 0. 40. US Federal Census 1920: Gordon, Sheridan, Nebraska; Roll: T625_1001; Page: 18B; Enumeration District: 233; Image: 1011. 41. Us Federal Census 1930: Gordon, Sheridan, Nebraska; Roll: 1293; Page: 16A; Enumeration District: 8; Image: 577.0. 42. Ancestry.com. OneWorldTree [database on-line]. Provo, UT, USA: The Generations Network, Inc.;Juda Margaret Malone, spouse George Wesley Buchan. 44. Ancestry.com. South Dakota Marriages, 1905-1949 [database on-line]. Provo, UT, USA: The Generations Network, Inc., 2005. Original data: South Dakota Department of Health. South Dakota Marriage Index, 1905-1914 and South Dakota Marriage Certificates, 1905-1949. Pierre, SD, USA: South Dakota Department of Health, #151185, Registered No. 725. 45. Lincoln State Journal, Wednesday, June 22, 1938, page 10. 46. Nebraska State Journal, Thursday, June 18, 1943, page 8. 48. Social Security Death Index: 507-36-3623, Rushvlle, Sheridan, Nebraska; born 15 Dec 1933, died 2 Nov 2000. 50. Social Security Death Index: 506-34-3955, Blanche I. Buchan, Rushville, Sheridan, Nebraska; born 3 May 1910, died 3 Apr 1989. 53. Ancestry.com. OneWorldTree [database on-line]. Provo, UT, USA: The Generations Network, Inc.;Juda Margaret Malone, spouse George Wesley Buchan. 54. US Federal Census 1900: Benson, Cochise, Arizona Territory; Roll: T623 45; Page: 7A; Enumeration District: 8. 55. 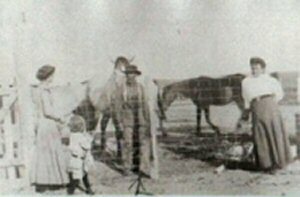 US Federal Census 1910; Naco, Cochise, Arizona; Roll: T624_38; Page: 2A; Enumeration District: 10; Image: 741. 56. 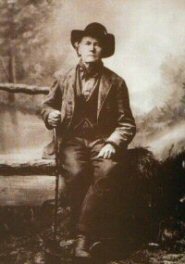 Western States Marriage Record Index, Daniel L Culp & Eugenia Isabella Buchan, Naco, Cochise, Arizona, Vol 3, page 572. 58. Arizona Genealogy Birth and Death Certificates, Territorial Index No. 125, 359, County Registered No. 684, Local Registrar's No. 814. 60. US Federal Census 1920: Phoenix, Maricopa, Arizona; Roll: T625_49; Page: 15A; Enumeration District: 67; Image: 1000. 61. World War I Draft Registration Cards, 1917-1918 Daniel L. Culp, Pima County, Arizona; Roll: 1522647; Draft Board: 0. 62. US Federal Census 1920: Tucson Ward 2, Pima, Arizona; Roll: T625_50; Page: 11B; Enumeration District: 103; Image: 1063. 63. Arizona Genealogy Birth and Death Certificates, State File No. 395, Registered No. 65. 64. Ancestry Southern Connections; Maynor/Mainor/Maner Doundex DNA Project: http://www.familytreedna.com/public/maynor; Sheila Maynor - smmaynor@comcast.net. 65. World War I Draft Registration Cards, 1917-1918 Hubert L Hatchel, Maricopa County, Arizona; Roll: 1522449; Draft Board: 0. 66. California Deaths 1905-1929; http://www.vitalsearch-ca.com; page 6367; Certifcate No. 45917. 67. Arizona Genealogy Birth and Death Certificate, Hubert Leslie Hatchel, Jr. State Index No. 254, County Registrar No. 1436, Local Registrar No 757. 68. Arizona Genealogy Birth and Death Certificate, Inf. of Mr. & Mrs. Bert Hatchell, State Index No. 358, Local Registrar No 656. 69. Arizona Genealogy Birth and Death Certificate, Eugene Hatchel (error), State Index No. 159, Local Registrar No. 526. 70. Letter dated January 2007 from Hubert L. Hatchel, grandson of Jeannie and Hubert L. Hatchel, 16 N Keene Way Dr., Medford, Oregon 97504. 77. Social Security Death Index, 17 Mar 1898 Sep 1980 97501 (Medford, Jackson, OR) 567-66-5914 issured California.